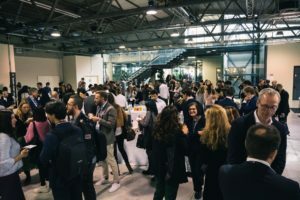 There is no relevant Fashion Tech event without Fashion Technology Accelerator and this time we decided to partner with Pitti to set-up a real open innovation opportunity both for brands and start-ups in this industry. 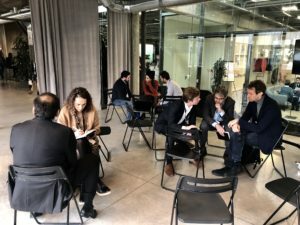 During the eP Summit (November 20th – 21st) an entire morning was dedicated to the Brands + Start-Ups Catch-Up, a moment where selected start-ups met brands interested in testing their innovative solutions. We started with this question: which are the issues and the opportunities that brands would like to solve or leverage through the interaction with innovative digital solutions? We identified three main areas of interests: Digital Supply Chain, Omnichannel and Customer Engagement. 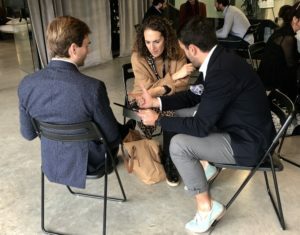 Afterwards, we interviewed ten top executives covering corporates from digital platform, manufacturing and designer brands. 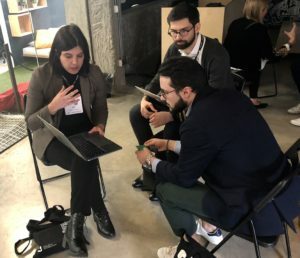 At last, we did an international scouting looking at more than 500 startups working in the B2B sector. We invited the best 16 to the event. So you must be wondering – which are the main needs corporates would like to be addressed by startups? Many startups are working on this topic, but brands still conceive it as not solved yet but as a major opportunity to be leveraged to increase conversion on the online sales. Creating the items in a completely digital way can facilitate the management of the same item until the last mile of the product visualization on the online store. The long time needed to get feedbacks from wholesale activities is not acceptable anymore today when all information is expected real time. Yet very low innovation is coming from this side. Liquidprice – The adaptive pricing platform. AI-based revenue management solution for e-commerce and large scale retailers. Retviews is a solution hat delivers strategic insights about brands’ competitive environment enabling better and faster decisions. ZigZag helps retailers manage returns globally with a network of 220 warehouses and 60 courier partners in 130 countries. 1TrueID is a secure system to verify items’ authenticity through identification technology: the application acts as an anti counterfeiting system. Predit helps making smarter decisions in product development by maximizing product appeal, reducing risk of unsuccessful products. Measuring customers flows in the store, their behavior and activities is something that technology offers, and brand are craving for these kinds of information. Personalization is a must for brands, providing a custom-made service for each person entering the store is something brands are looking with enormous interest. See Fashion – Omnichannel personalisation & customer intelligence platform helping retailers identify & personalise visitors across any channel. Disignum designs innovative technological solutions, focusing on multi channel CRM for both B2B and B2C companies. Neuralya – End-to-end Customer Experience analytics applying neuroscience and behavioural analysis to measure people’s reactions. Mercaux enables in-store digital transformation. Benefits of tech are brought in-store, unifying the customer journey across all channels. Again, personalization counts so much! Being able to provide the right inspiration and recommendation to customers is key to have customers happy and to increase conversion. There are quite a few AI based algorithm that are working on these solutions, and brands are very open to listen. There is not so much information on influencers marketing except everybody is investing on it. But today brands would like to have more quantitative data about returns on the investments from these activities. Go Instore is the live video platform for retailers, connecting online customers to instore sales advisors to drive conversion rates. Replika – the retail industry social selling solution, empowering brand’s sales associates and ambassadors to inspire and sell more effectively online. Indigo.ai is an artificial intelligence platform using chatbots and machine learning to automate customized experiences for businesses and customers. Prizeme. Prizeme links the digital and the real world, taking advantage of the long-established logic of loyalty and new gamification mechanics. Tooso is an AI search & discovery technology for e-commerce that allows customers to find the most relevant products through their own language. Smartzer’s video tagging platform turns existing videos interactive and shoppable, and provides detailed video interaction data. IFDAQ predicts in-depth insights and novel scientific KPIs to the most salient currency in fashion: market power, influence & reputation. Zakeke is a self provisioning cloud tool that enables brands and retailers to offer their customers live product configuration. Startups had a dedicated space inside the venue, giving them the opportunity to interact with the selected audience of eP Summit. 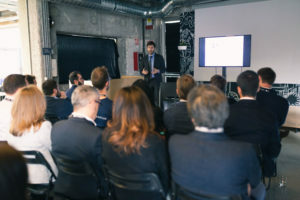 Each startup received a dedicated list some days before the event, focused on the companies they would have been able to meet in the program. 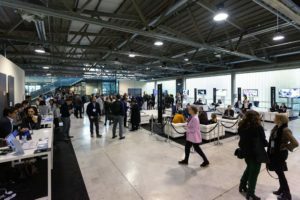 While the first day was focused on spontaneous networking and following talks, the second day of the event was dedicated to the program. 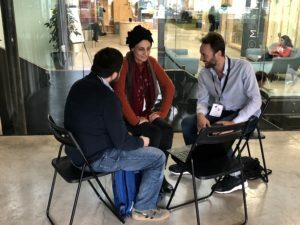 As we wanted to set the expectations clear for both startups and corporates, our CEO Giusy Cannone and our Head of Startups Marco Filocamo gave two brief talks to the parties involved in the 1:1 to maximize the added value of the event. 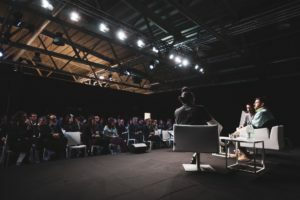 We have been glad to hear that most startups are continuing their talks with the brands they met – and pilot projects are already in development! Indeed, open innovation can be profitable for both sides if there is a clear market and product fit. 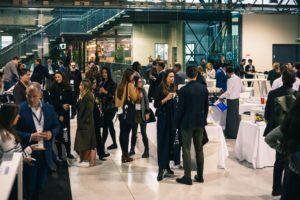 It was a great event to meet executives and managers from top fashion brands to share visions and ideas and start cooperation. Organization was just perfect. 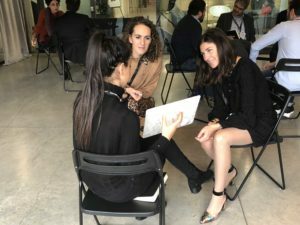 The e-P Summit gave us the opportunity to meet the right contacts from leading fashion companies but also consulting groups. We really hope to attend the summit again next year. Our participation to the Brands & Start-up Catch-up Program has been extremely positive and insightful. The nice and cozy atmosphere that prevailed during the event made the contact and meetings very smooth. 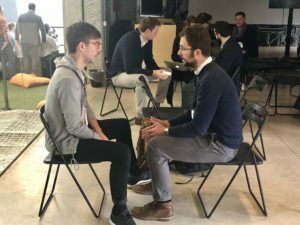 From a start-up point of view, we particularly enjoyed the Face-to-Face meeting between Company and Selected Start-Ups which lead to very interesting talks. Thank again for this great event and hopefully, see you next year..
We believe the 1-to-1 matching is fantastic as it allowed us to really demonstrate our solution to the right people from the brand. 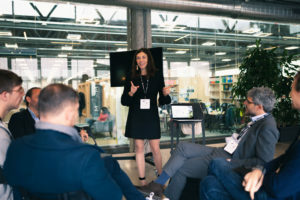 We also had the opportunity to really learn about their challenges and see where we could improve our product (or remove some features) to ensure better product market fit. If you are a startup: follow us on our social channels, we will open again the call for startups early next year (40K € in seed funding + 6 months of support). Discover more here! If you are a brand looking for innovative startups and would like to know more: get in touch with us!